EDITORIAL: BURNED OUT. Cosplay in the Philippines losing its luster? An Innocent question turns into a litany of realizations for the Cosplay Community. If you attended a pop-culture convention in the country, you will surely see things that makes it feel like a bona fide convention, like booths, merchandises, food concessionaires and a stage. Any event that doesn’t have any of those make some people either queasy or cringe worthy. No offense. But there is always one fixture that always get the interest of any con-goer, and that is cosplay. Whether it’s in a big pop-culture event at the SMX Convention Center – Manila or a small one in Davao, somehow a cosplay competition will always be in the mix, and that’s what happens since time immemorial. In the past, the cosplay scene was creative, interesting, competitive but fun. Today, it is a much different story. At first, we explained that cosplay is still popular, especially with competitions like Cosplay Tournament of Champions (TORCH) during Cosplay Mania and being an official competitor to the World Cosplay Summit (WCS). Since cosplay has always been a staple in our pop-culture event diet, it may feel like there is nothing wrong with it. But the problem lies when everything becomes stagnant, considering that it has been all the same ever since cosplay competitions were done in the turn of the new millennium, where the anime culture in the country really permeated. It was not until 2005, or in essence, the year HEROtv made an impact in the local pop-culture scene with their Hataw Hanep HERO event, that cosplay competitionshad become a necessary part of any pop-culture event. 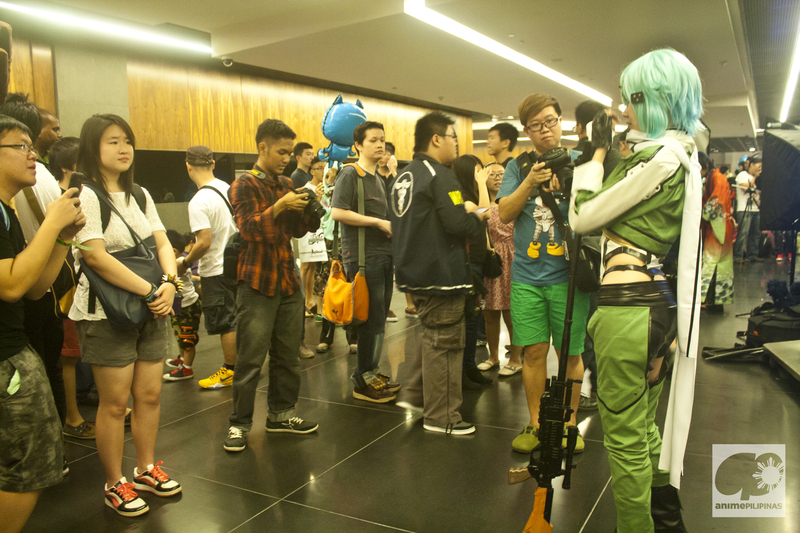 With numerous events focusing on Japanese anime or pop-culture that followed, it became an accepted fact that cosplay should be included in the activities to make the event feel complete. Because of the popularity, even other events want to get a piece of the action, K-pop events. More recently, HistoryCon, organized by A+E Networks Asia’s flagship network History, also had a cosplay competition in the mix. Several television shows also featured the craft. Today, it is an undeniable fact that cosplay is now a major fixture of the events scene, but we should not allow the quality of cosplay competitions diminish at every single event where it is being held, because its quality will surely get affected because of this. From the point-of-view of a regular event-goer, you will notice that there are a lot of cosplayers roaming around the venue, but then you will only see a few of them during competition time. But then, most of those who do participate in the competition are are either veterans who are dedicated in honing their craft or someone who just wear the same costume during events. We are not saying that to discourage those that are experienced. It just that it feels unfair for the audience who cheer their hearts out to the participants only to see the same old cosplay skits on stage at every event, with only a few alterations. Despite that, those cosplayers still get the most cheers since they rely on audience participation points from others who have not seen that performance before. To be honest, there are some non-competing cosplayers, also known as “costrippers” who have the potential but simply need the courage to perform on stage. It’s high time that we see new blood on cosplay competitions. For those costrippers who are having second thoughts, we highly encourage you to showcase your talent and compete. Prove yourself that you also have the passion to compete in the cosplay leagues as the veterans, and show everyone why cosplay is fun. Speaking of online criticisms, we’re pretty sure the whole cosplay community knows Liui Aquino by now, but as we all know that fame comes with a couple of haters. He recently portrayed the Pokemon Go character Spark, the gym leader of Team Instinct. He shared on his Facebook page that he received insults for that cosplay, mostly coming from his fellow countrymen. I’m pretty sure he would accept constructive criticism that will make his craft better, but I don’t think insulting, stupid and ad hominem comments from a bunch of keyboard warriors who sit around in front of a monitor will not help him and the whole community. On another note, you may be aware that cosplayers from Davao City were picked as the country’s representatives for the World Cosplay Summit in Nagoya for three of the four qualifying stages. Meanwhile, there are only three groups that participated in the Manila qualifying stage of the World Cosplay Summit Philippines last year, and some even say that they are not giving justice to their characters. It is quite unsettling to see the current quality of cosplay in Metro Manila events, because it feels like the participants in some major competitions have this “bahala na” (come what may) attitude. Come on, if you want compete is the biggest stage of them all, you have to give your all! What happened? Let us remember that Metro Manila is still the center of Japanese pop-culture events in the country, but it seems that cosplay is starting to lose its luster. Another thing, we recognize that in order for cosplay to be special, it needs to be open for everyone. In our opinion, there should also be a time when competitive spirit must give way to delicadeza. We have noticed some known cosplayers who are already working for different event organizations but still participate in other cosplay competitions without some sort of disclosure. Sure, the judges and the organizer are different, but doesn’t it sound unfair because there is conflict of interest? This not only degrades the quality of our cosplay competitions, but it bastardizes the very essence of the competition in itself. We hate to put words into this, but to put it bluntly, it fells like it is cheating. The term “burn out” is not usually associated with the cosplay community here in the country. In fact, for almost twenty years, it shows no signs of significant burn out, but rather, it continues to thrive and continues to be a force. But with all the issues and things that we have seen in these past years, the question still nags our minds, and with good reason. Maybe it’s time to look into the rear-view mirror and think of what we should do to revitalize the cosplay scene in the country. Cosplay is for everyone, but only a few has the guts to do it and making really special for everyone, and we should make it continue to feel special for both participants and the audience. Because sooner or later, we will all feel a burnout that even a long rest can’t relieve. EDITOR’S NOTE: An image previously inserted on this editorial has been removed at the request of the organizer.